recommended for: Fans of Game of Thrones, The Magicians, Truthwitch, and other explosive fantasies big on the adventure and blockbuster quality. 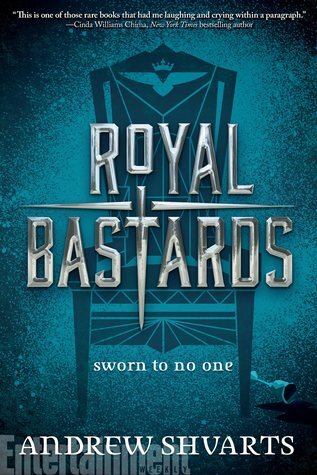 Royal Bastards was one of my most anticipated books of the year, and for good reason. I remember thinking partway through, with a sniffle, that it's exactly the fantasy book I didn't even realize I needed, or how much. The main character, Tilla, is a fierce, vibrant, relatably scattered hero. There's a group of multidimensional friends rather than a simple MC-love interest-isolated from everyone story like the ones I keep seeing. Friends! The plot is straight out of an action movie, and there's magic, murder, and snark. I'm in physical pain from aching for a sequel. This is a breakneck book that starts with a brutal, unexpected murder and bounces from from one violent mishap to the next. A dark comedy of errors. A friend-group journey book. Think young adult The Lord of the Rings crossed with Harry Potter crossed with Game of Thrones crossed with Inglorious Basterds. Bad things happen to good people. Loyalties are tested. Off-color sexual innuendos are made. 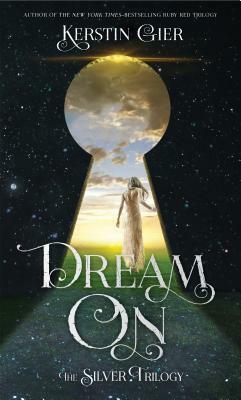 The writing is from Tilla's point of view and is peppered with modern-day idioms, giving the story a more tongue-in-cheek tone than most high fantasy. And, except for a few stilted segments, it works. On this foundation is the story of five misfits in terrible danger. They're caught in the middle of a civil war, on the run from one side. Each character has their own motivations and desires, their own personality. You get to see each of them struggle and grow. The changing dynamics of their relationships. The blossoming of true friendship and love, but also jealousy, pettiness, and doubt. Tilla is adorably bumbling but loyal; Lyriana is a stone-cold badass; Zell is smooth and unapologetically, pragmatically murderous; Jax is the reincarnation of Fred and George; Miles is a little dweeb with brave ideas. I cared deeply about each of them, which only heightened the tension. There were a few elements that didn't settle as well with me. First, I was a little concerned about how Zell's people, who have darker skin, are called barbarians and heathens by the white House Stark-sort of people. Given the whole danger of the dark-skinned agressor trope. Especially since Zell was portrayed as an exception. However, I think Shvarts does a good job of commenting on these assumptions in-text and labeling them as wrong. Also, I thought it was a little too easily good vs evil. Like, obviously the murderers were wrong, but wasn't it undertandable they were rising against the magic-wielding ruling class? Yet Tilla is totally fine delivering her people (the rebels) to the crown. Seemed a bit too black-and-white for me. Give me more nuance! On the whole, Royal Bastards was an astounding debut. It was so funny and heartfelt, brutality mixed with aww-moments, magic and monsters and five friends sticking together despite the world against them. The magic system and political machinations are clever and wasted on just one book; I could live in this world forever. It's a fantasy that blends seriousness with sarcasm. Despite a few kinks, it's so vivid and fun, with cinematic fight scenes and breathless action, that I can easily imagine it becoming its own franchise. Royal Bastards is a sparkling, funny, brutal fantasy adventure about five misfits forming bonds and battling insurmountable odds--and defying the expectations of the adults in their lives. Okay... Now I need to get my hands on a copy of this book because it sounds amazing. I definitely want to read it especially after this review. Great review! You REALLY do. Yay, I take full responsibility! Unless you hate it, in which case I take no responsibility! You've definitely made me super excited for this! I feel like most of the fantasy I have read are all serious, and it gets quite boring sometimes. SO NOW I HAVE HIGHER EXPECTATIONS BECAUSE OF YOU. Hopefully I will get to it soon!